Found this out just the other night and wanted to share with all of you, especially the out-of-towners who can't see the game live tonight. Fox Sports Ohio will be broadcasting the game live tonight on their website. It's like a TV broadcast, but online instead of on TV. They'll have a camera in the pressbox as well as sideline cameras. The link is below, click play and you should be able to see the game as it happens. Make sure your internet settings aren't blocking Flash Player or any other setting needed to broadcast the game. As if this game can't get any bigger. Wooster's WKVX will also be streaming the audio of the game. Link for that broadcast is here. Coaches: Doug Davault is 48-21 in his 6th season for Orrville, he is 5-0 vs. Wooster. 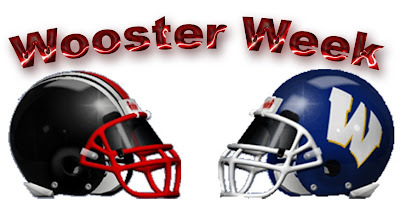 Mike McCreary is 69-62 in his 13th year for Wooster, he is 5-7 vs. Orrville. All-Time Records: Wooster is 542-466-53 in their 111th season of football...while Orrville is 594-344-41 in 102 seasons of football. Thanks to Aaron Dorksen at the Daily Record for the Wooster info. I think we all know the overlying theme to this game...backyard rivals, throw the records out the window, blah, blah, blah. Looking deeper, I believe this has the potential to be one of the better Orrville/Wooster games in recent memory, and local fans would expect nothing less from the 6th longest running rivalry in all of Ohio. The unofficial computer points standings are out on the indispensable Joe Eitel's website..and the Orrville Red Riders are now officially in the playoffs for a 22nd time. Here is the snapshot of Region 13 after 9 weeks, showing the Riders in 2nd place. So now that we can officially say "we're in," let's talk about who we might play in week 11. It's not mathematically certain, but it might as well be so I'll just say it....Orrville WILL host a week 11 home game regardless of the outcome against Wooster. Even if we received no 2nd level points from teams we've already beaten, I think we drop no further that 4th place, still earning us a week 11 home game. 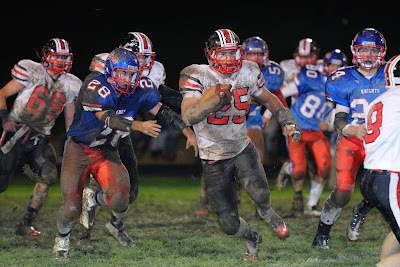 Last Week: Orrville beat Madison 20-17, Clear Fork lost to Ashland 49-14. Coaches: Dave Carrol is 17-6 in his 3rd year and Colt head coach. Doug Davault is 47-21 in his 6th season as Rider head coach. Region Standings: Orrville is 3rd in Region 13 and could lock up a home playoff game with a win. Clear Fork is 12th in the stacked Region 14 and will need to win out and get help just to make it to week 11. According to statistics guru Drew Pastuer (http://www.fantastic50.net), the Orrville football team could actually lose their last two games and still have a 99% chance of making the OHSAA state playoffs. As of now, he says we have a 91% chance of hosting a home first-round game. So it leads me to assume that a win over Clear Fork this Friday will lock up a first-round home playoff game regardless of the outcome of the Wooster game. Read below for more playoff talk, including my projections of where we'll end up in the region, and what team may be making the trip to Orrville in week 11. ***I'll do the update first, but read past the preview for some other interesting items of note. Coaches: Doug Davault is 46-21 and in his 6th year as Red Rider coach. Sean Conway is 8-9 in his 2nd year as Ram head coach. Radio: Game will be broadcast live on WMFD out of Mansfield. Click here for the live stream link. Computer Points: Orrville sits 7th in Region 13, Madison is 10th in Region 6. 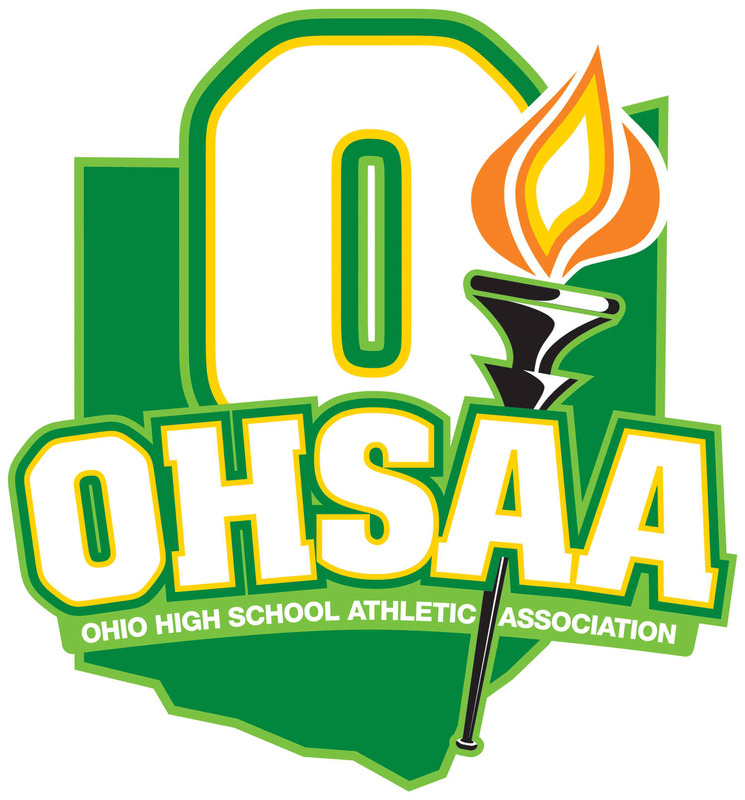 Computer Points: Orrville sits 5th in Region 13 while Ashland sits 17th in Region 7. Week 7 already? Really?? Unbelievable. Week 7 also means you can smell the playoffs right around the corner. It's fall, weather is cooler, leaves are falling, it just feels like football weather now. It's also officially cruunch-time in Rider country. This is where the destiny of our team and many others across the state begins to take shape. The Riders simply control their own destiny...win out and win the OCC and host a first-round playoff game. It sounds so simple doesn't it? Unfortunately, there's 16 quarters (at least) of football in between us and raising an OCC title at midfield of Red Rider Stadium after a 7th straight win over Wooster. I'll guarantee nobody but me is looking past Ashland though. Friday's 28-21 win over West Holmes was just gutsy. No other way around it. Riders made plays and stopped the Knights from doing the same. It was a game we had to have, and we got it. Give the kids and coaches credit for steadying the ship and to the seniors for speaking through their words and actions in what might have been a season-saving win (#592 in school history). Let's talk about it all...but not until we look at the pictures from the game courtesy of Rod Dilyard. Rod does great work and is very dedicated to Orrville sports.